“Looking to up your bathroom game? 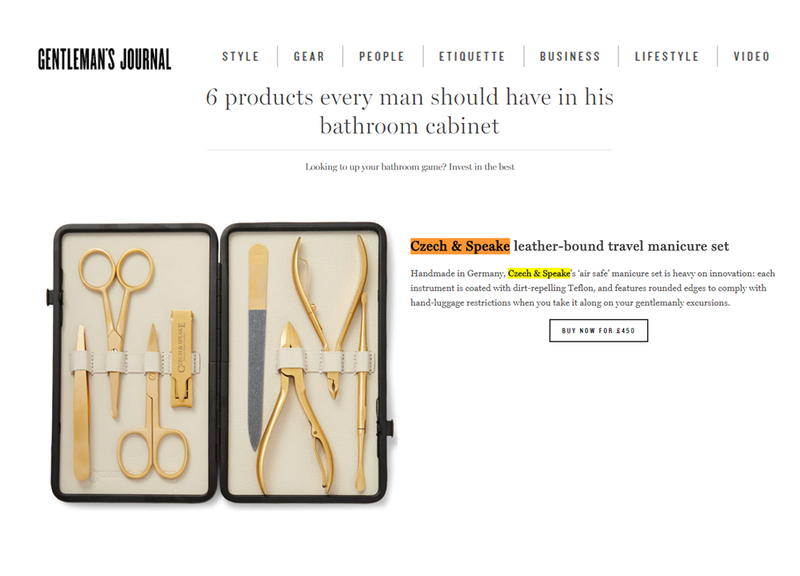 Invest in the best” says the Gentleman’s Journal while presenting the 24k gold plated Manicure Set. You can discover the rest of 5 items here.